Roll Roll Up – Get your Circus tickets here! The greatest show in town and we have a Vintage Circus Stall to hire. With the release of Greatest Showman, Circus has become the perfect showstopping theme for any event. The Vintage Circus Stall encompasses the vintage circus look which is so on trend right now. This would be a perfect registration desk, alternative food stall or a great place to serve drinks upon arrival from. 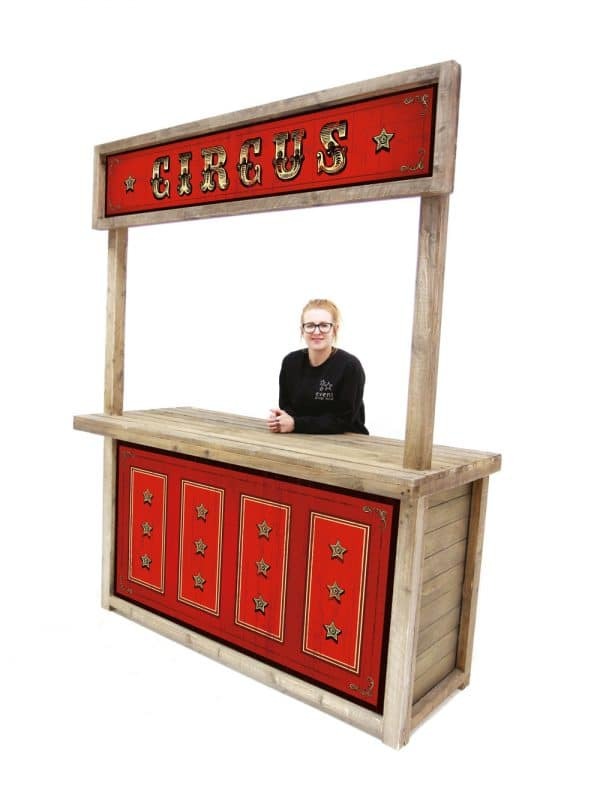 Please note our Vintage Circus Stall requires assembly onsite.